One of the most confidential forms of communication is between a doctor and patient. In addition to secure, the communications must also be clear. As the wireless spectrum grows more crowded, noisy, and potentially insecure, Fairview Health Services in downtown Minneapolis found a unique wireless conferencing solution that also suited their other major concern: preserving the integrity of their historical building. Fairview Health Services is a network of hospitals and clinics throughout Minnesota. The company’s headquarters is in an early 20th-century building in downtown Minneapolis, and features an elegant boardroom with a carved stone fireplace and full-length windows. 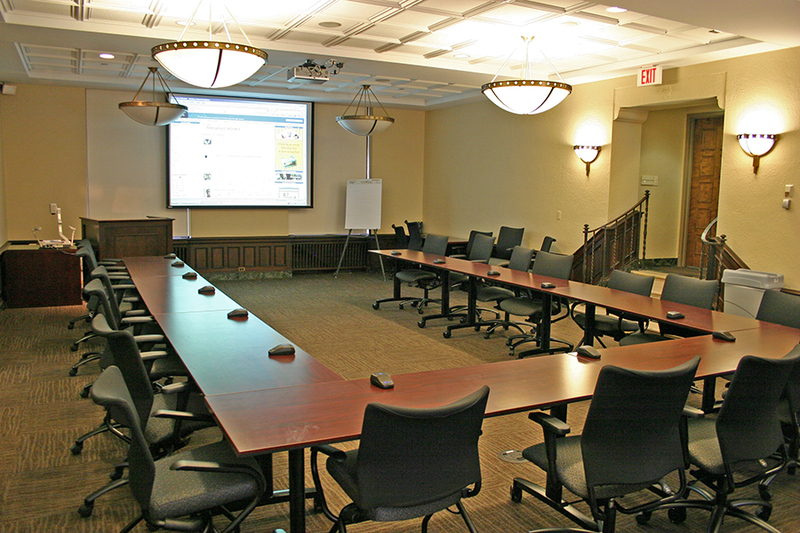 The Heritage Room boardroom needed a new conferencing system. Alpha Video set out to bring the boardroom up to 21st-century teleconferencing standards. Fairview wanted a very flexible space, where they could move the tables around as needed and yet retain the ability to do teleconferencing with a minimum of setup. 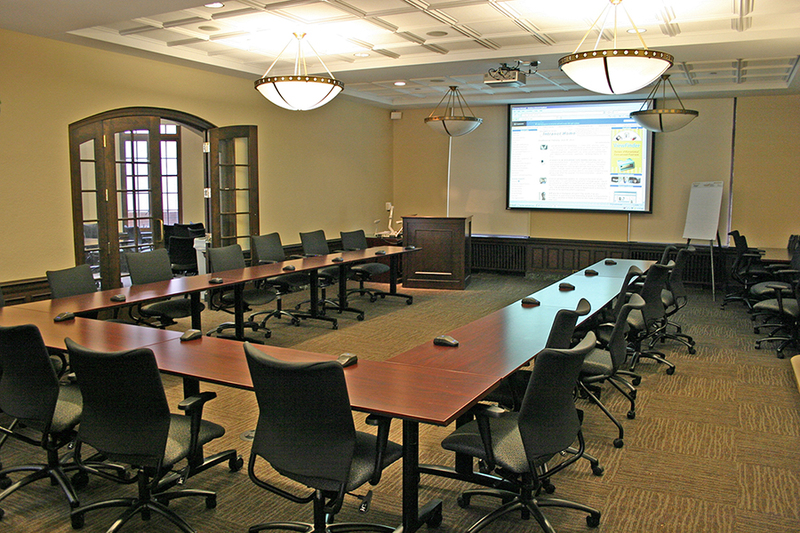 They also wanted the space to be easily upgradable to videoconferencing in the future. 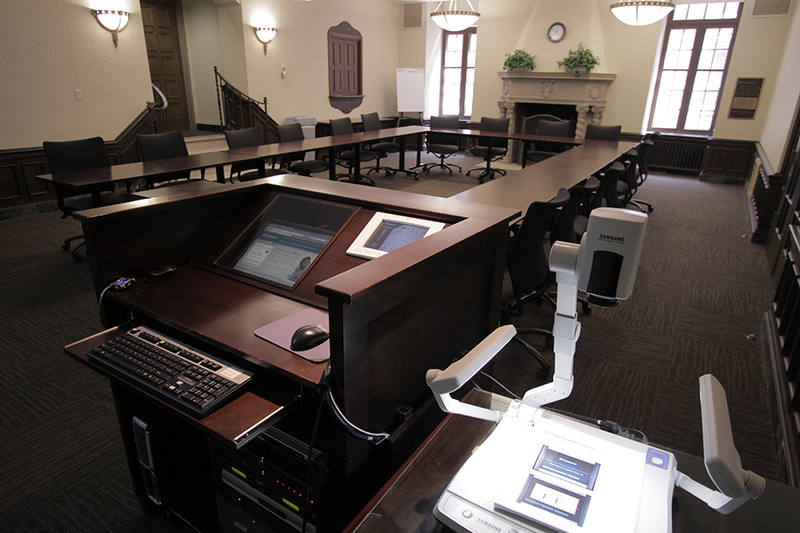 Because Fairview Health Services wanted to keep its boardroom layout flexible, a wired microphone system was impractical. Going wireless comes with its own perils. First, growing congestion in the RF spectrum is making it increasingly difficult to provide wireless users with continuous, reliable service that resists interference from outside transmitters. Second, anytime someone transmits over radio waves, they risk unauthorized eavesdropping by outside listeners. 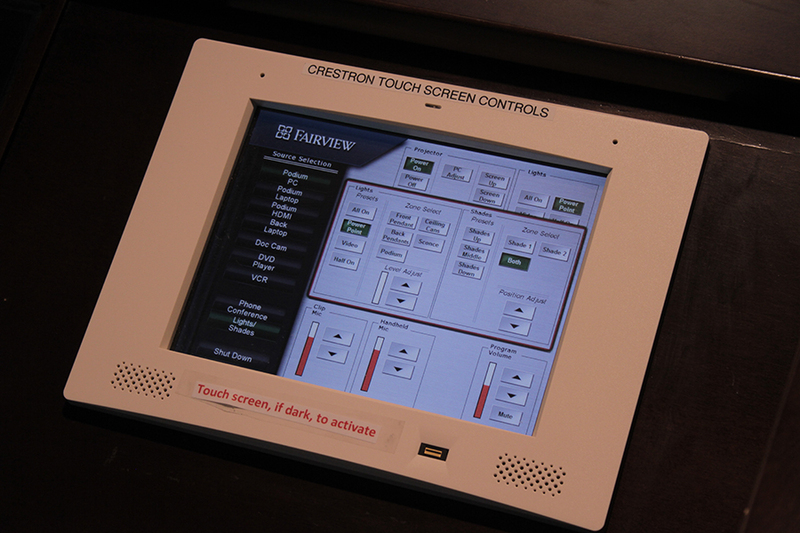 Since top Fairview doctors and administrators use the boardroom, maintaining signal security was an absolute must.